Young people have forgone traditional payment in exchange for the “buy now, pay later” approach, early adopting payment systems like Afterpay and ZipPay over credit cards. That credit card in your wallet might be looking a little long in the tooth these days, and it might even be gathering the odd speck of dust here and there, as newer payment concepts are taken up. If you want to buy something, depending on your age group, you may be more ready to embrace newer payment ideas instead of turning to the assortment of credit cards you’ve drifted through over the years, at least according to recent research. Findings from Roy Morgan’s Digital Payment Solutions Currency Report paints a youth-filled picture for the recent “Pay Later” payments like Afterpay and zipPay, with Millennials’ 1980 to 1994 range and Generation Z’s 1995 to 2015, with just over half a million (559,000) Gen Z using these solutions in the past 12 months, while Millennials numbered 644,000. In the same time frame, Generation X’s adults born from 1965 to 1979 saw 304,000 trying the solutions, while much fewer from the Boomers (1944-1964) sitting at 78,000. While it’s clear more people are embracing solutions like Afterpay, what’s abundantly clear from the stats is the awareness of the concept, which works very much like a lay-by, but has you pay for a purchase in instalments, something that can ease the burden on paying for goods with cash or leaning on a credit card and fearing the interest rate. “The payment environment in Australia is facing rapid change as we see innovative new companies, such as Afterpay, changing the way people purchase goods that they may not be able to afford immediately,” said Roy Morgan’s Norman Morris, Industry Communications Director for the company. 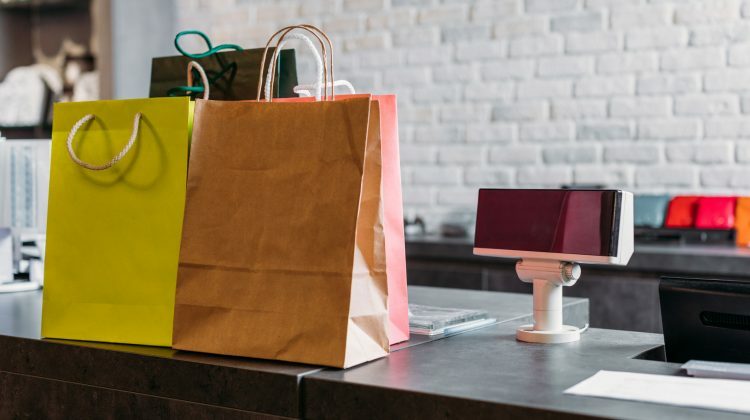 “These ‘buy-now-pay-later’ companies are likely to pose a threat to traditional payment types such as credit cards as well as traditional financial institutions, as consumers can access a small amount of credit instantly with no documentation,” he said. Though this implies growth for the “Buy Now, Pay Later” solutions, of which more are almost definitely expected, it doesn’t speak to the possible education some may feel is warranted for the solutions. Similar to how credit cards can raise serious debt and bring to mind questions about how a credit score can have a long-lasting impact on your personal finances, so too can Pay Later solutions, causing 1 in 6 customers to be overdrawn, leaning on the services as a replacement for money they may not have. “The fact that one in six customers have become overdrawn, delayed their payments or borrowed extra money is concerning,” said RateCity’s Research Director Sally Tindall. “While these services do aim to lend responsibly, and typically have lower credit limits and more stringent repayments terms than most credit cards, the bottom line is you can still get yourself into financial trouble if you’re not careful,” she said. All purchases will need to be paid off in time, but some services may be better for needs than others. For instance, credit cards will let you buy without the cash, but pay gradually as interest builds. Pay Later options like Afterpay, Ezipay, and zipPay work in a similar capacity and require no upfront money, but require you to stick to payment plans, with hefty fees if you don’t. As with all financial decisions, it’s ideal to think them through and work out whether paying for something will pose a problem, or whether it’s something you can comfortably achieve. There are pros and cons for using services like Afterpay, and while the obvious pro is not needing to pay upfront, you’ll want to make sure the con isn’t that you’ll be trapped by payments you can’t necessarily afford.